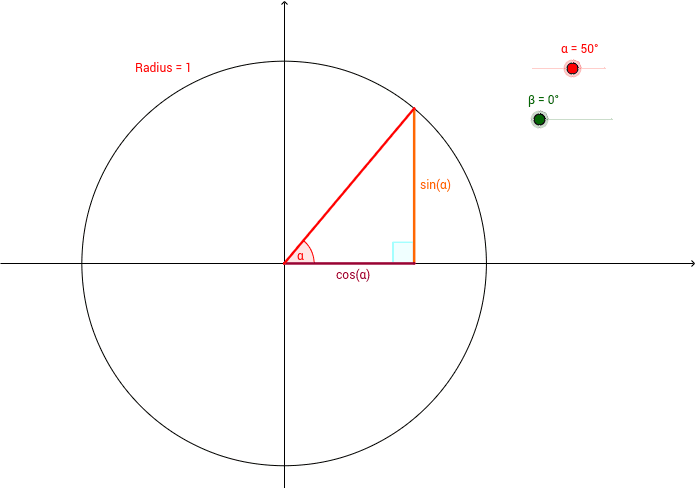 Graphic demonstration of the trigonometric addition formulas for acute angles. Use the sliders to add angles and show the geometric construction to demonstrate the formulas. Why are both "B" angles equal?